Whether you are a seasoned web master, web site owner, digital agency, channel partner, or you are just getting started, The Cloud has never been easier, or more profitable! TurnKey Internet is a premier provider of dedicated servers, cloud servers, web hosting, virtual private servers, mail servers, colocation, disaster recovery backup services, and managed services. 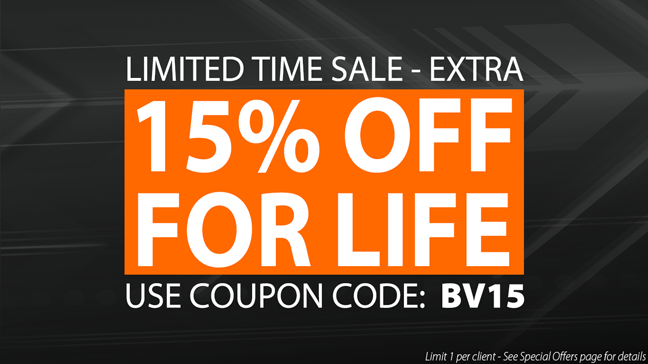 We give you all the tools and support you need to succeed. Our 5-star reputation shows you can count on us as your partner in The Cloud. TurnKey Internet's Cloud Hosting Affiliate Program is available through CJ Affiliate by Conversant (formerly Commission Junction), the most reliable and trusted affiliate tracking service in the industry. Marketing partners have access to custom tracking, statistics and real-time commission reports via CJ Affiliate. Tracking cookies have a 90-day lifespan, ensuring our marketing partners get the credit they deserve for all referrals. 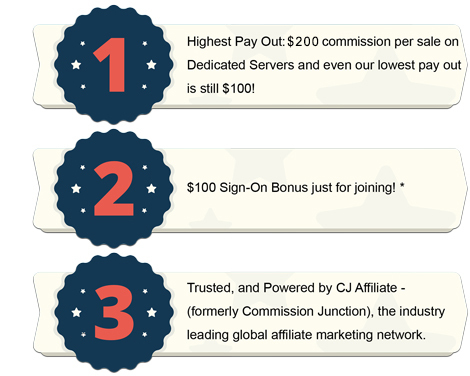 We offer a $100 Sign-On bonus via CJ Affiliate - this $100 bonus is paid out as a bonus on your first commissioned sale. TurnKey Internet's Cloud Hosting Affiliate Program is simple to use - simply signup and promote TurnKey Internet via the ready-made graphical banners and links we provide you. You can promote us on your web site, blog, social media, and email. People who visit our web site as a result of your marketing efforts will be attributed to you and tracked automatically inside the CJ Affiliate dashboard. When they purchase (anytime within 90 days from the date you referred them to our web site) you will be attributed a commission of up to $200 depending on which qualified product they purchased. When that client remains a paying client for 60 days, your commission is released (paid) to you via CJ Affiliate. We handle all the technical support, and direct interaction with the customers - you simply refer clients and make commissions! Why Join TurnKey's Cloud Hosting Affiliate Program? Click on BROWSE BANNERS to view a sample. Once you Sign Up you will have real time access to our banners via your dashboard at CJ Affiliate.